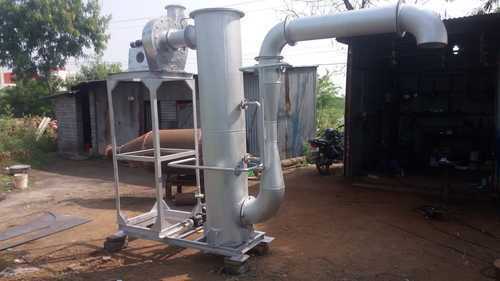 Leading Manufacturer of venturi scrubber from Coimbatore. The SGET Venturi scrubber is an easy-to-operate, high-pressure scrubber for effective and safe cleaning of harmful and explosive process gases. The scrubber aspirates furnace off-gases and produces overpressure in the gas line. This overpressure prevents surrounding air from entering the line, enabling safer handling of CO gas. It both cools and cleans the gas, quenching sparks from the furnace to eliminate the risk of explosion. Our SGET Venturi scrubber have a proven track record in the cleaning of off-gases from closed smelting furnaces. They are designed to operate in tandem in order to guarantee the maximum possible gas-cleaning efficiency, uniform ventilation of off-gas from the furnace, and to minimize equipment footprint.